Just a few days ago, we brought you news that AMD is currently testing their new 7nm GPU, the Vega 20. Now, it seems like we’ll be able to know more about the device than what AMD wanted to let on as new details about the new graphics card surface through a leak. In the leaked images, it shows that the GPU is currently being tested on 3DMark Performance, labeling the 7nm Vega 20 as a ‘Generic’ AMD GPU. The said graphics card runs at a whopping clocked speed of 1.25 GHz with 32GB of HBM2 vRAM on board. According to SegmentNext, these particular findings are obviously early prototypes of the Vega 20, meaning it’s yet to receive proper drivers. It’s also important to note that, in the past, 3DMark failed to accurately tally the clock speeds of previous Vega iterations, which means the numbers are probably not final or not even telling. In contrast to this, Wccftech believes that no such misreading happened with this particular case. Going back, they say, 3DMark’s miscalculations are known by clock speed resulting to 0 GHz rather than 1GHz, which suggests that 3DMark got this one on point. If this leak holds true, we’re looking at an almost 70 percent increase in performance – a big leap from the previous editions. 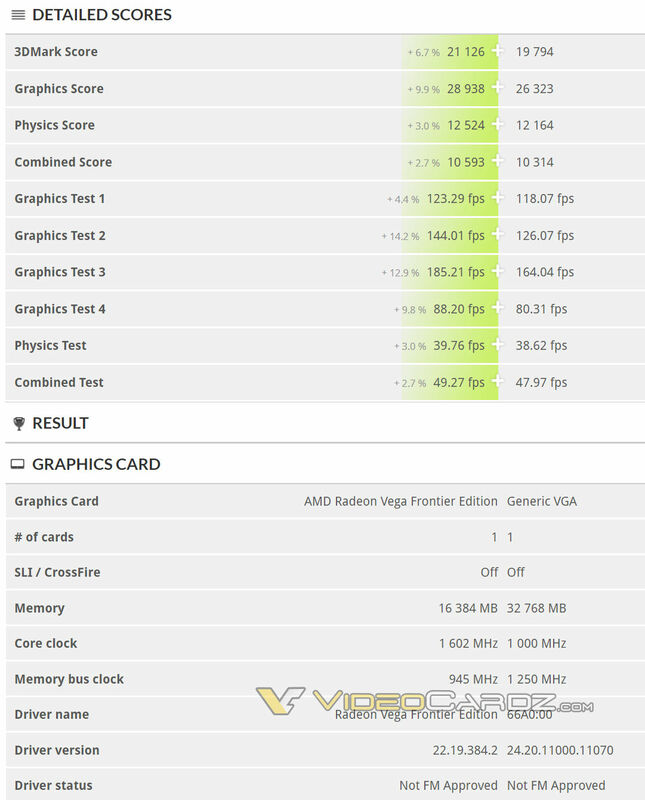 A much believable estimation suggests that the AMD 7nm Vega 20 is probably running at moderate clock speed – 3DMark just can’t pick up on it. Overall, it’s still pretty exciting to see leaks as early as this. As we all know, the 7nm Vega 20 isn’t scheduled for sampling until later this year and won’t be dropping officially until 2019. We advise our readers to take these developments with a grain of salt as it’s still too early to tell whether these benchmark results will translate to the actual product.